Dreambox Womens Envelope Leather Wallet Just $11.50 Down From $45! You are here: Home / Great Deals / Amazon Deals / Dreambox Womens Envelope Leather Wallet Just $11.50 Down From $45! Here’s a nice Amazon deal. Dreambox Womens Envelope Leather Wallet is just $11.50 down from $45! Get yours now while it lasts! 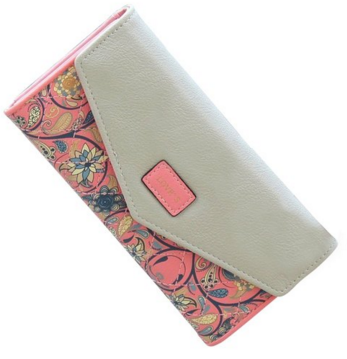 Versatile women wallet with multi-card positions,trifold long clutch handbag. This Women’s Wallet features with faux leather with button closure for your important items safe inside. 1 photo window,11 slip card slots for your credit cards and bank cards,5 full length slit pockets for cash, important papers, event tickets, and receipts. Color:5 Colors Available to You.Size:19*9.5*2.5cm(7.5″L X 3.8″W X 1″H). Shipping via USPS with tracking number service,normally 5-16 working days deliver to United States.